I got a lot of reading done in February, but I doubt I’ll manage a similar feat in March. It was mostly fantasy, a genre I’ve always loved but have drifted away from somewhat in the last few years. Drifted away from reading, but not so much from acquiring. I’ve ended up with quite the stack of unread fantasy doorstops, so I’ve started wading through them. Actually, most of those I read this month were either recent purchases or digital books. Still, I cut down my reading list quite a bit. I read the first book in this series a couple of years ago and found I liked it better in theory than in practice. 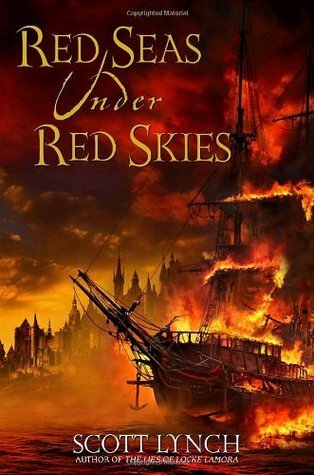 I liked the concept of a fantasy novel that is set up like a classical romance. Really, I like everything about it but that romance. Something about it didn’t ring true to me; I’m having trouble recalling at this point. I liked this sequel a lot more. It continues the story, but here I can just accept the central couple. 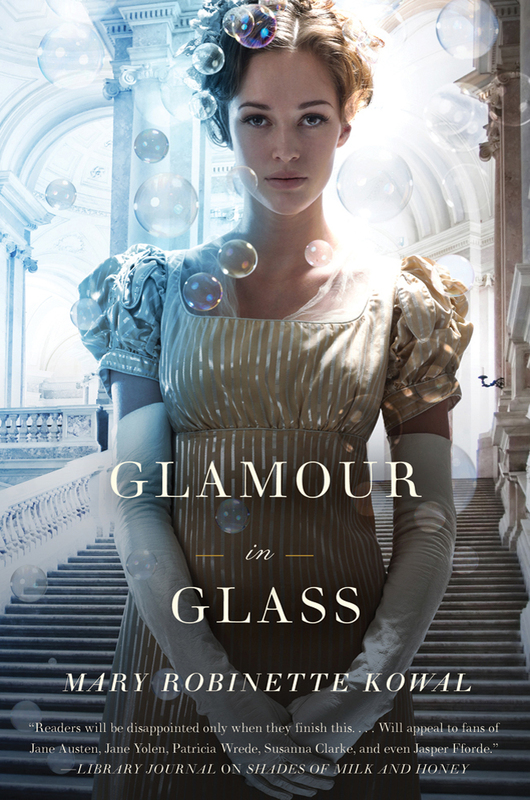 This is set in the 18th century (maybe early 19th) and Jane and Vincent take a trip to Europe to study Glamour, their shared passion. While there they make some progress with research about how to trap the illusion of Glamour so it can be moved. However, they are stopped when Jane becomes pregnant and can’t do Glamour any more. While that strains her relationship with Vincent, it is nothing on the encroaching return of Napoleon to France. This is not a particularly long book, but its two central characters are very well drawn. And it feels to come more naturally from the characters than the first book did. It also sets up more for the series going forward than the largely stand-alone first book did. This was a very good read. The problem I had with the first book in this series, The Paper Magician, was that it seemed to move a little too fast to its climax. It didn’t give the reader enough time to get to know its central characters before expecting an emotional connection for the big finale. Basically, my problem was that the book was too short, which isn’t the worst problem to have. I enjoyed reading it very much even if it didn’t leave me fully satisfied. The sequel mostly fixes the first book’s problem by not having to introduce all the characters. I ended up liking this one quite a bit more than the first and I’m eager to get to the third one. In this one, Ceony and Emery have to deal with an even greater threat than last time, this time focused on Ceony instead of Emery. While the elder magicians work to keep her safe, Ceony blunders into trouble that makes things worse. You know, basically how every Harry Potter book goes. Not that this book owes much more to that series other than the concept of a magic school, it certainly does its own thing. Ceony ends up uncovering information that could change everything people understand about magic. 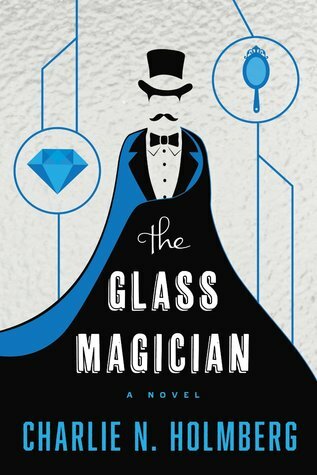 The Glass Magician is an improvement on its predecessor, though I would still like a bit more. There is a lot about this book that I like. I like how it gets out of Elendel and how it expands the Mistborn world. Unfortunately, those things happen in a book with some incredibly obvious plotting and one of the most painful supposedly comedic scenes I’ve ever encountered. The plotting is the bigger problem. Every twist in this book isn’t so much foreshadowed as they are immediately obvious. It plays out exactly how you’d expect. I expect more from Sanderson, this book is just limp. The bad comedy scene is a bad comedy scene. It was reminiscent of his attempts to write Mat in his first book of the Wheel of Time series. That was a character known for being funny and Sanderson failed completely to get that across. Most of the character work in this book is good, but it still left me pretty disappointed. That said, I am still eager to get the final part of this trilogy. This is the first book by Sanderson that I would call a miss, but it wasn’t a bad miss. 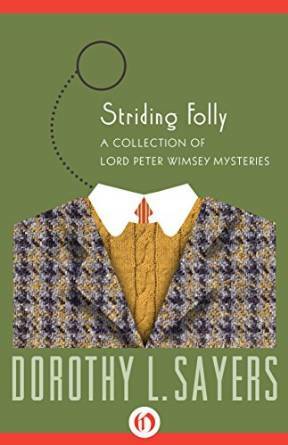 This short story collection contains the last of Dorothy Sayer’s Peter Wimsey stories. There are still plenty that I haven’t read, but these are chronologically the last ones. It’s just three short stories, but they are interesting ones. The first is just the usual murder mystery, starting with the set-up and a brief investigation before Wimsey wanders in and solves the mystery. The next one is more involved, with Lord Peter leaving the hospital after the birth of his first child and he happens across a bemused police officer. He has witnessed what he thought was a murder. The two of them get drunk and he explains what he saw, which is enough information for Lord Peter to get to the bottom of things. The last story is only barely a mystery, being set several years later and it deals mostly with Lord Peter and his oldest child. There is a mystery, but it is about as low stakes as possible. Still it is an entertaining read. The most interesting thing about this collection is that two of the three stories don’t have crimes at the center of them. This is going to spoil both stories, by the way. The first is more a prank than anything else, though a convincing one that gets a hapless police officer in trouble. The second is mostly about how Lord Peter disciplines his children. I really enjoyed the first book in this series, but this one does not quite live up to it. It is two different books mashed together, with the connecting tissue between them not being exactly strong. It starts well, picking up some time after the first book, The Lies of Locke Lamora, with Locke and Jean in a new city running a new con. As they painstakingly set up their heist, their past catches up with them and they are forced to work for the cities Archon against his enemies. It sets up a good struggle, with the protagonists trying to free themselves from his control while not messing up their other scheme. Then the Archon decides that he needs to send the two of them out to be pirates, despite them not being trained as seamen. What follows is a sequence with them acting as pirates. It’s not bad, but it does take Locke and Jean far away from their more interesting other plots. It all comes together for an ending that doesn’t serve either side particularly well. I still enjoyed the book quite a bit. While it strays from the books strengths, the best new characters appear in that pirate portion. At times it is a lot of fun even if it feels pointless. And Locke and Jean remain an excellent pair of rogues. I received both this book and its sequel for Christmas and I will be getting to that sequel sooner rather than later. This was part of a Christmas gift, where I got volumes 3 through 6. This is still early Peanuts, but it is just about perfect. 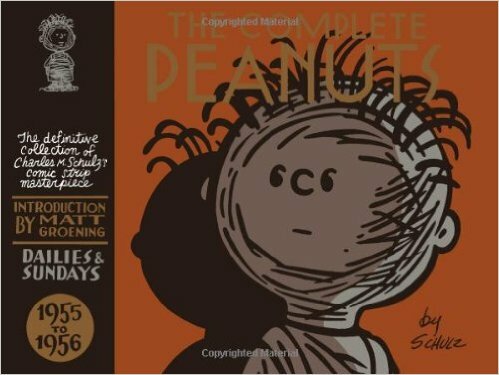 It nails that Peanuts tone of somewhat mopey nostalgia; combining silly animal jokes with some dark existential fretting. It’s really good, but you know that. I don’t know how much else I have to add. I guess it’s worth noting that these collections from Fantagraphics are really nice. The books feel good and they come in nice slipcases. The outsides are as nice as the insides. 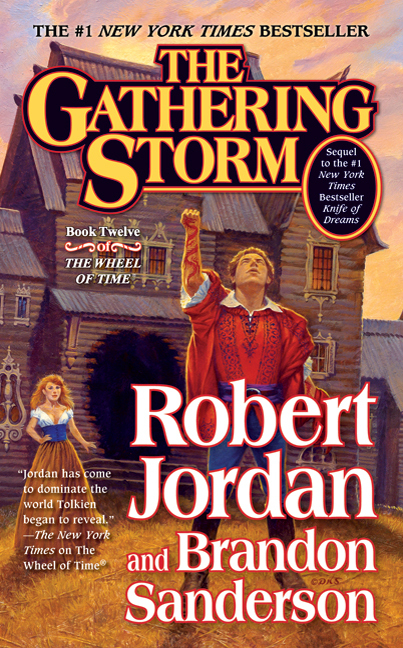 It is impossible to discuss The Gathering Storm without noting that it is the first book that Robert Jordan was not able to finish. While he intended to finish the series in just one book after Knife of Dreams, Jordan tragically did not live long enough to do so. His passing was tragic from any point of view; the fate of the series was insignificant in the face of his loss. Still, as a reader I wanted to see the series come to its conclusion. 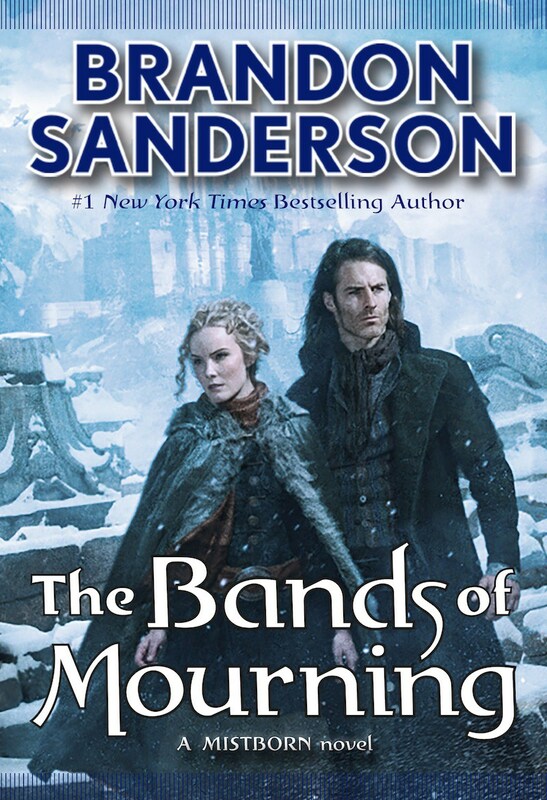 Luckily for readers, Brandon Sanderson was tapped to finish the series in Jordan’s stead. Sanderson is one of the best writers of the fantasy genre working today. I have read and enjoyed nearly every book he’s had published. That being said, he is not Robert Jordan. Whether one finds his writing better or worse than Jordan’s, there is no getting around that it is different. One of the changes when Sanderson took over was that the last book became the last three books. With all that happens in these last three books, doing it in one looks like it was always a pipe dream. It would, however, fit better structurally. The first six books of the series fit nicely into a pair of trilogies; if the series had been finished in one book after Knife of Dreams, the last six would as well. Books seven through nine do not follow as thematically coherent a trajectory as Rand’s rise and fall from books four through six. Rand is faltering, after his troubles at the end of Lord of Chaos, but he has created a new weapon: the Asha’man. They appear at the end of that book, start out appearing trustworthy and useful before betraying him and showing the effects of the taint. So Rand cleanses the taint. That covers Rand’s journey through those books, seeing first-hand the effects of the taint and dealing with it once and for all. Rand’s journey though the last trilogy, albeit a trilogy that ends up consisting of five books, is his nadir before truly understanding and accepting what it will take from him to be The Dragon. Fixing what made the last part five books instead of three would be difficult. Counting all of Sanderson’s books as one it works, at least for Rand’s story. It is everyone else whose stories don’t quite fit. More than half of Crossroads of Twilight takes place before Winter’s Heart ends. Moving that stuff back, folding the rest of Crossroads back into Knife of Dreams and condensing the last three books into just two would largely fix things. The change from Jordan to Sanderson was hard to swallow. Especially in light of how many people I heard gushing about how much improved Sanderson’s take was to Jordan’s. I can’t fault someone for liking Sanderson; I like his books an awful lot. His work is creative and inventive and the man is crazy prolific. The Mistborn books are excellent, the Stormlight Archive is a worthy successor to the sort of absurdly large scale fantasy of which The Wheel of Time is the most exceptional example and even his one off and young adult books are good reads. But he is not the same writer as Robert Jordan and I would say for this series a lesser one. At least, coming from the perspective of a Wheel of Time fan he is. Sanderson tends to be more direct and blunt than Jordan; characters were suddenly more open with each other instead of speaking in half-truths and assumptions. Character also go through a slight metamorphoses, some worse than others. Elaida, for instance, goes from being wrongheaded and stubborn to being a complete clown. It is the end of her arc as a character, but in this book she is reduced to just arrogance and megalomania. She is not the worst, though. It is never clearer that Sanderson is not Jordan than in the few chapters in this book from Mat’s point of view. Jordan’s Mat is funny, but not from any conscience effort on his part. Jordan’s Mat doesn’t see himself as a funny guy, what makes him so fun is his complete lack of self-awareness. Mat has no clue that other people find him hilarious. Under Sanderson’s pen, Mat is doing some kind of tired shtick with Talmanes. You can almost feel all of his companions rolling their eyes at every word he says. It is painful. It isn’t just Mat trying to be funny, but Mat failing to be funny. The biggest flaw is that Mat’s stuff just isn’t amusing. It falls completely flat. Luckily, one adjustment Sanderson made when splitting this last book was to sideline most of Mat’s and Perrin’s stuff to Towers of Midnight and have The Gathering Storm focus on Rand. Rand had been essentially sidelined for the two books previous to this. He had a few impactful chapters in KoD and a few forgettable ones in CoT; in The Gathering Storm he is again the protagonist. He had been teetering since Lord of Chaos, after the kidnapping. The madness that is the inevitable end for male channelers is starting to affect him. No longer feeling safe even in his palaces, he jumps from front to front in his attempts to combat the Forsaken and the Seanchan. And he continually build up this idea that he can’t harm women or allow them to be harmed, even trained fighters like the Aiel Maidens; turning it into a kind of especially destructive chivalry. It becomes less of a principle and more of complex. The Gathering Storm has Rand finally reaching the nadir of his fall in what is easily one of the darkest moments in the entire series. The male a’dam, the collar that lets one channeler control another, is placed on his neck by no one less than the most sadistic of the Forsaken. It was not strictly a surprise when it happened; all the pieces for this tragedy were in place. Things like secreting away the a’dam instead of getting rid of it or keeping Semirhage captive instead of just doing away with her. That is stuff that the characters should have known, there is more that the readers knew, like the fact that Elza was Black Ajah. Everything just goes wrong in the worst way possible. Knowing that the end is coming soon makes the outcome all the more uncertain. Yes, it was easy to guess that Rand would get out of his predicament, there are two more books to go, but how much damage would done before then? The complete hopelessness when Rand is forced to strangle Min is crushing, because there could be nothing more tragic than the very real possibility at that time that he would kill her. Fortunately, thanks to some divine, or infernal, intervention Rand manages to free himself from his bonds and do away with Semirhage. Even more than the supposed victory at Dumai’s Wells, this battle left its mark on Rand. After this, all the light has gone out of Rand. It is laid on rather heavily, but Rand is now completely broken. It is disturbing seeing just how wrong things go. Everything is visibly coming unraveled and Rand is now fully a source of the problems instead of a solution. Rand gets darker and darker, even his closest allies Min and Nynaeve must turn to outside help to try to save him. But Rand’s salvation does not come from anyone’s help, but from within. He sits on Dragonmount, toying with the idea of finally giving in to Ishamael/Moridin and destroying all of creation. What calls him back is part of the very thing that nearly drove him to do it, the voice of Lew Therin he hears thanks to the Dark Ones taint. Together they find what they need to see the value in creation. While Rand hits his lowest ebb in this book, the other major storyline is Egwene at her most triumphant. Captured in the White Tower, her rebel Aes Sedai still besieging the city from the outside, she starts her own siege from the inside. By simple strength of character she shows the completely divided sisters inside what they need to be. It helps that Elaida has been reduced to a complete fool, worried only about her increasingly tenuous grip on power and reality. For a character that had become almost as unenjoyable as Rand over the back half of the series and for much less reason, Egwene really shines here. It helps to see others react to her strength, showing why she deserves the power she now wields. And for a character who is in captivity, she manages to accomplish an awful lot. The crowning moment might be in the Seanchan raid, when she almost single handedly saves the White Tower from complete disaster. Her second accomplishment, nearly ridding the Aes Sedai of the Black Ajah, came to her with the great help from one of the best minor characters in the series. Since The Great Hunt, when Verin stepped in for Moiraine for most of the book, she has been an intriguing figure. She was up to things that usually seem to be for the good of the Light, but using tactics that were decidedly underhanded. Here we get an explanation that was surprisingly simple but also somewhat unexpected. Verin joined the Black Ajah by mistake, wanting to study them but not herself being a darkfriend. So she played her role, all while keeping tabs on the others in the sect. Egwene is able to use her information, after one of the bravest and most touching moments in the series, to clean out a large portion of the Black Sisters. Including Sheriam, who had been given a fake-out Min viewing to fool people off of her trail, one of the only times that Jordan seems to have inserted information with the deliberate goal of misleading readers. The Gathering Storm is easily one of the weaker books in the series; Sanderson doesn’t quite have a feel for many of the characters, though he does get better in the subsequent books. It is also one of the most focused books in the series. There are a few chapters of Mat and Perrin, but the book hinges almost entirely on Egwene and Rand, as well as the supporting characters in their orbits. The whole book feels like a weird shadow of the rest of the series, the darkest book thematically and also one where everything else seems not quite right. Another month with four new books read, which I guess is the fastest pace I can manage when I am rereading the Wheel of Time. Usually my WoT rereads are fast, slapdash things where I read only the parts I want, the Perrin parts early and the Mat parts late, while skipping the storylines that I don’t like quite as much, surprisingly Rand’s part. This time I am giving as close a read as I have since I first read them, which means each one is taking me about twice as long as it usually does. So four other books a month is about all I can manage. This is apparently the second of LeBlanc’s Arsene Lupin detective-ish stories. Lupin is something like Robin Hood mixed with Sherlock Holmes. What Holmes is to solving crimes, Lupin is to committing them. There are two stories in this volume, which is all about Holmes, called Holmlock Shears, matching wits with Lupin. There are some what I am going to guess are translation issues, where words don’t mean quite what the characters seem to think they mean, but otherwise it is solidly entertaining. I don’t want to get in depth on the plot since this is a mystery. Lupin is wisely kept on the sidelines for most of the book, letting most of the story come from the detectives trying to stop his announced robberies. Lupin is a great character, dashing and dangerous but he has enough of that Robin Hood noble thief in him that readers can still root for him. Since I first discovered him a few years ago, or more appropriately when I was forced to discover him because it was announced that he would finish Robert Jordan’s The Wheel of Time series, Brandon Sanderson quickly became one of my favorite fantasy authors. Even though Mistborn is not my favorite thing he has written, I really like the first book but I think books 2 and 3 are flawed, when I heard that he was writing a follow up with a Western setting I was excited. The magic system in Mistborn is one of the most original I’ve encountered, especially when you weed out the ones that come off as weird for weird’s sake. Putting that in a Western, a genre that I unabashedly love, sounded perfect. Too much fantasy takes place in the same sort of faux medieval time period. It is always good to get out of that. Fortunately, Sanderson did not disappoint. Alloy of Law is short for a fantasy novel, running just around 300 pages, but it accomplishes a lot in its short time. Since the world was not new, much of the usual world building could be eliminated, allowing for a greater focus on character and plot. Both of which delivered. Wax is a pretty great character, competent and brave but not with the sort of Godlike powers that many fantasy protagonists have. Wayne is perfect to complete a buddy cop routine with Wax. And Marasi doesn’t get quite enough time, but she is an interesting catalyst. The story follows Wax trying to solve some mysterious train robberies and kidnappings that seem to be impossible, which leads to him uncovering a plot involving corrupt cops and even more corrupt noblemen. Plus, Snaderson avoids spending too much time on the mechanics of his magic system, as he sometimes does. Alloy is an adventure about magic cowboys trying to stop ghost trains. Conceptually, it is perfect. Even with its short length, t manages to be a meaty, enjoyable adventure. Its only real flaw is that it leaves the reader really wanting more, and the internet seems to be telling me that this is a stand alone entry in the series. Stand alone books should not have cliffhangers! More, I want more. You know how sometimes something just really clicks with you immediately. To experience a piece of media that seems almost perfectly tailored to your specific interests. Jasper Fforde’s Thursday Next series, of which The Eyre Affair is the first entry, has so far been one of those special experiences for me. The Eyre Affair is a smart, inventive and often silly detective novel set in an alternate reality. A reality with time travel and cloning and a much greater appreciation for literature. Once all the fun sci-fi/fantasy fluff is stripped away The Eyre Affair is a rather standard-ish noir tinged detective story. But the fluff is the substance. The plot is clearly secondary to the fluff. The plot is merely an excuse for Thursday to keep moving through the world. More important than the over arching story is a side-story where Thursday helps hunt down a vampire. Fforde throws tons of concepts against the wall, but the parts that resonate best are when he’s playing with literature. Perhaps it is just that the works he references are some of my favorites, Jane Eyre and Dickens. I simply loved the Eyre Affair. With the second Thursday Next book, Fforde focuses more on the book jumping skills that were key to the last books finale. It is also less of a stand alone book than the previous one. The Eyre Affair told its story and ended, Lost in a Good Book is clearly the start of a larger story. Numerous plots are started and very few of them are finished. Despite that Lost feels more focused than Eyre. The first one was about throwing stuff against the wall, this one is just playing with the stuff that stuck. I didn’t like it quite as much as the previous one, but it was still pretty good. Especially the greater use of other fictional characters as living characters in this series. They are clearly different than the “real” versions of those characters, but they are reminiscent enough to be fun. Another really good novel.